Caged Drawn Cup Needle Bearings J, JH, caged drawn cup needle bearings have a steel cage which provides inward retention of the needle rollers. The design provides maximum cage strength consistent with the long life requirements. 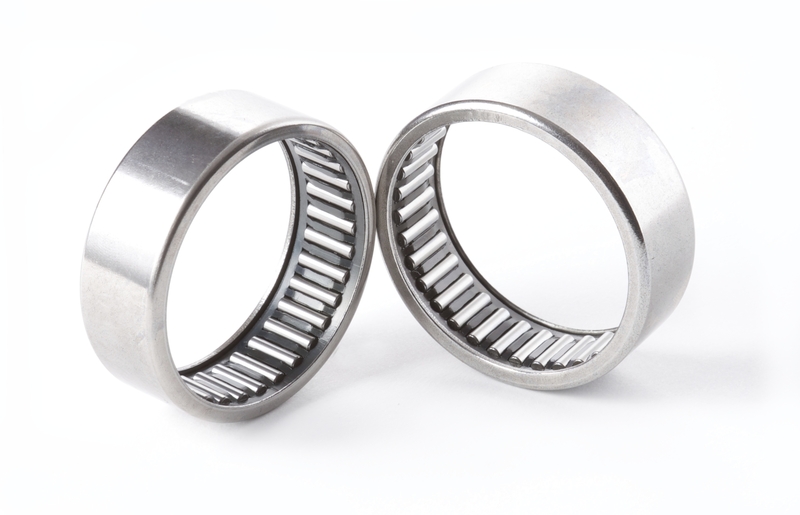 Rainbow Precision Products also has available bearings with cage snd full complement designs. J, JH, caged needle bearings need to run on harden shafting or harden inner rings. Inner Rings Section, If you need help selecting the inner ring please contact us. Drawn cup is a process used in manufacturing where the outside shell is drawn over the needles to contain them and form what is called a drawn cup needle bearing. If your looking for metric needle bearings see NK Metric and HK Metric caged series.